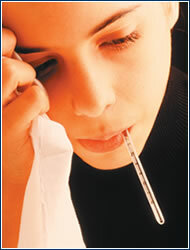 Though it was first described by the Greek physician Hippocrates in 412 BC, influenza remains a timely issue. Although sickness remains a universal suffering, there are ways we can beat this viral disease. PandemiePandemics are not new. According to the World Health Organization these occur between three and four times each century. Alarmed? Don’t be. Even the worst of these, the Spanish Flu of 1918 that killed 40 to 50 million worldwide, could be treated by modern antivirals. This is according to 2004 research by scientists at the University of Wisconsin-Madison School of Veterinary Medicine. THE FIRST RECORDED pandemic, or global flu, was in 1580 AD. Back then there were no vaccinations, and if you were caught with flu the cure was worse than the disease. Since impure blood was thought to be the root of disease, a practice known as bleeding or bloodletting was used. This involved draining the patient of as much as four pints of blood. We live in kinder times thankfully. Today doctors prescribe rest and fluids – taking, not removing. Despite officials hovering over limited quantities of vaccine, the reality of the “bird flu“ is that it is far more foul for fowl than it is for us. Known in science circles as HN51, it took its first human life in Hong Kong in1997. Since then it has infected 44 people, 32 of which have died. Poultry are another matter. The Food and Agriculture Organization of the United Nations (FAO) estimates that between 20-25 million birds have been eliminated during the same time. · Stress less: Stress creates hormones that suppress immunity. Meditation, relaxation exercises, and creative daydreaming all reduce stress. · Take vitamin C: Or eat oranges and other fresh fruits. The founder of vitamin C therapy, Linus Pauling, won two Nobel prizes during his lifetime. Though vitamin C won’t actually change your likelihood of catching cold, many studies indicate it will reduce the length and severity. The Linus Pauling Institute recommends a daily dose of 400 milligrams. · Dip into bee pollen: The world’s oldest man, who recently died at age 114, credited this as a major reason for his longevity. A number of medical journal reports have discussed the role of bee pollen and bee propolis in fighting upper respiratory infections, such as those caused by the common cold and influenza viruses.